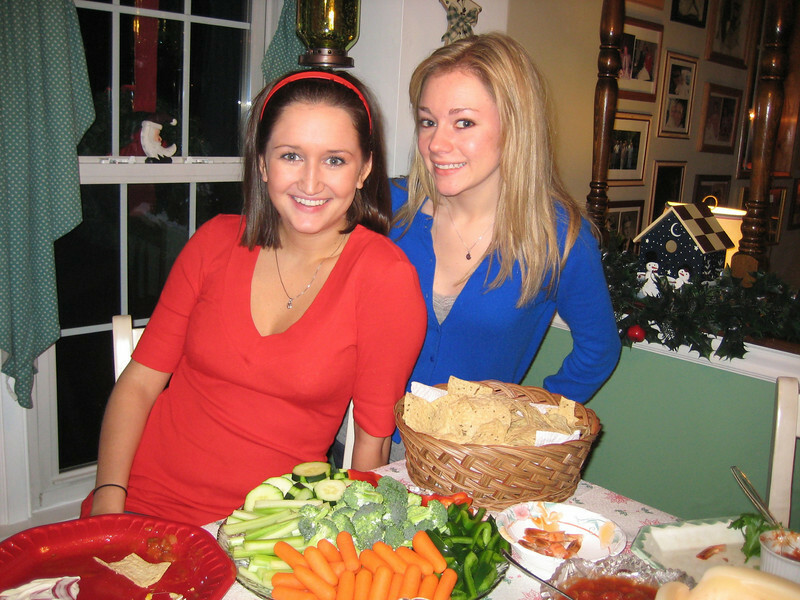 Christmas Eve is always spent with the Anderson family at Aunt Susan's house where we have dinner and do a pollyanna. Since 2007, the entire family has enjoyed the newest addition, Kadence, who is Casey's cousin Chris & Melissa's daughter. In fact, Casey was obsessed with Kadence, who became the subject of many of Casey's photographs! Mom Mom & Pop Pop Anderson would go home with Feldman family after leaving Aunt Susan's and stay overnight so that they could spend Christmas morning at our house. Christmas day festivities would then be held at Aunt Janice's house, where we would all gather once again for dinner. Casey was all about family traditions, and Christmas was no exception. She was unhappy during her high school years when when I (mom) disposed of our old artificial tree, which had seen better days. She was also insistent that the tree could not be moved from the same spot which it has held every year in our living room, repeatedly squashing my idea that we place it in the sunroom. Finally, both Casey and Brett became upset when Mom Mom suggested a few years ago that maybe they wouldn't sleep over on Christmas Eve. Casey said, "But they have to! They always do! It wouldn't be the same if they didn't!" Of course, Mom Mom never made that sugggestion again!